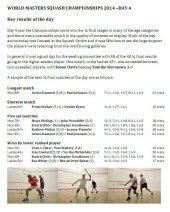 Day six saw the Men’s 40+, 45+, 50+ and 55+ age groups play their semi-final matches, with the Ladies and remaining Men’s age categories enjoying a well earned rest day. On Day 5 the 128 player draws, including Men 40+, 45+, 50+ and 55+ entered the quarter-final stages, with semi-final matches being played in all other age categories. 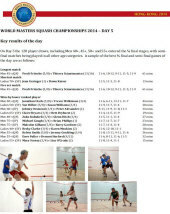 Day four saw the Championships move into the quarter final stages in many of the age categories and there was a noticeable uptick in the quality of contests on display. Much of the key action today was focused at the Squash Centre and it was fabulous to see the huge support the players were receiving from the overflowing galleries. 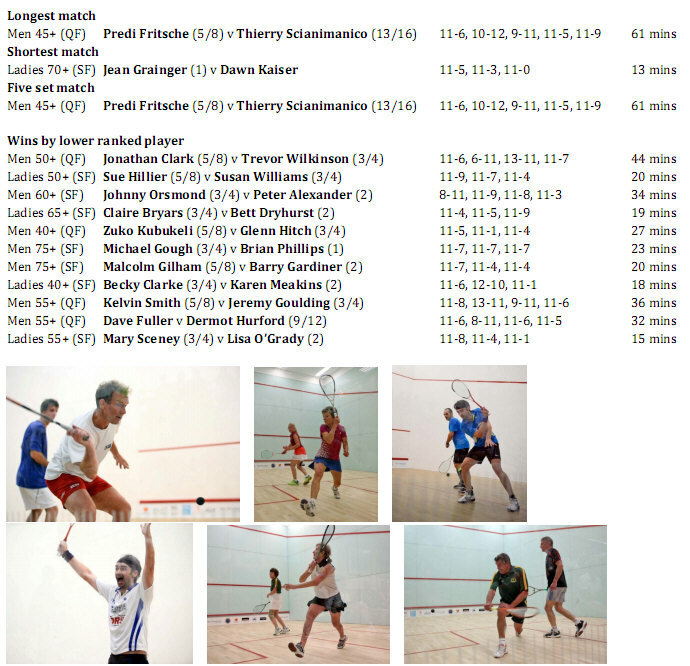 In general it was a good day for the seeding committee with 38 of the 43 quarter-final results going to the higher seeded player. 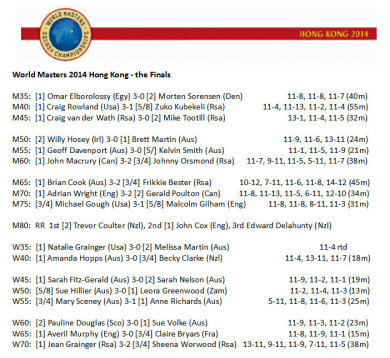 Whilst the South African Grainger family could walk away with three of the trophies, Australians are expected to take the lion's share of the titles on offer in next month's WSF World Masters Squash Championships, according to the seedings announced by the World Squash Federation. 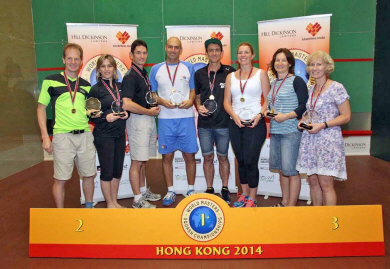 More than 750 players from all corners of the globe will compete in 18 events from 5-11 July - from Men's and Women's Over-35 through to Men's Over-80 categories - with action split between the Hong Kong Squash Club and Hong Kong Football Club. Jean Grainger, one of three South Africans seeded to win titles, is favourite to claim the Women's Over-70 crown for the first time - to add to world titles she has won at O55, O60 and O65 since 1999. 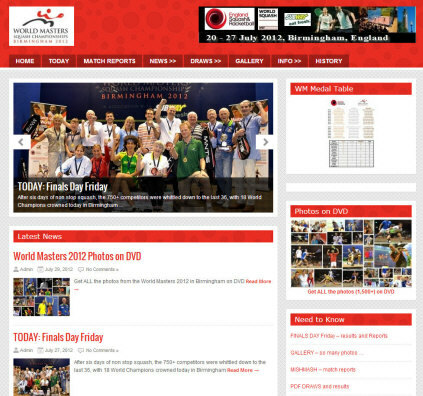 Her husband Chris Grainger is the No3 seed in the Men's Over-65 category - while their daughter Natalie Grainger, a former world No1 now based in the USA, who retired from the WSA World Tour over three years ago, is seeded to win her maiden World Masters title in the Women's Over-35 championship. 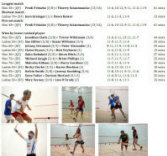 Omar Elborolossy is the top seed in the Men's Over-35 event in Hong Kong where the 38-year-old two-time British Open O35 champion is expected to be Egypt's sole champion. 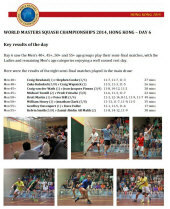 Former world No2 Brett Martin, one of three Martin siblings (with Michelle and Rodney) who dominated squash proceedings in the 90s, is making his World Masters debut as top seed in the Men's Over-50 championship. The 51-year-old is one of the eight predicted champions from Australia - yet may also be joined on the winner's podium by his wife Melissa Martin, No2 seed in the Women's Over-35 event. Distinguished Australian Sarah Fitz-Gerald is also expected to add to her title haul in Hong Kong as top seed in the Women's Over-45 event. The five-time World Open champion from Melbourne is making her first appearance in the championships since lifting the Over-35 trophy in 2006. 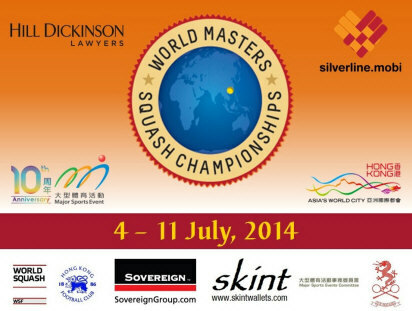 Three players are anticipated to add a fifth World Masters trophy to their collections. South Africa's Craig van der Wath is expected to retain his Men's Over-45 title after two previous successes at Over-35 and one at Over-40. 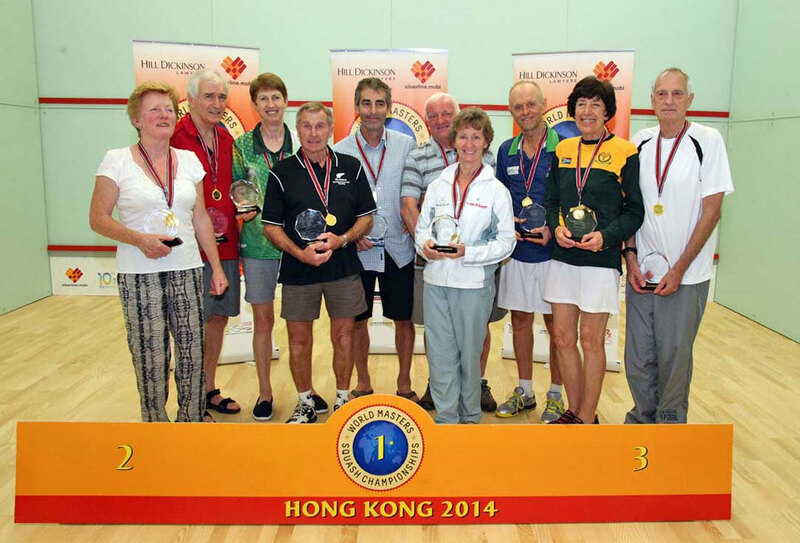 With a pair of Over-45 and Over-50 titles already to his credit, Australia's Geoffrey Davenport is now fancied for success in the Men's Over-55 category. 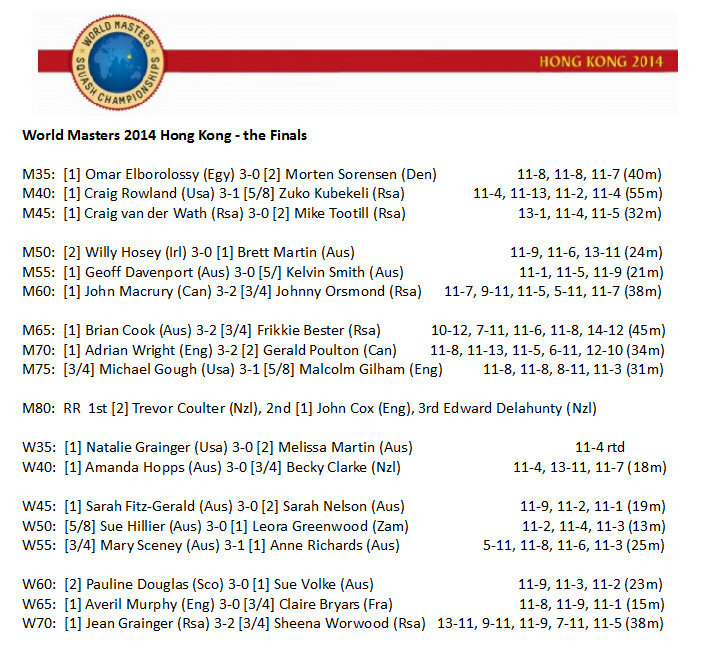 But the player whose World Masters title success spans the greatest period is England's Averil Murphy, who is seeded to win her maiden Women's Over-65 crown. The 66-year-old from Essex claimed her first success at the Over-40 championship 25 years ago in 1989 - and went on to win the Over-55 trophy and two Over-60 titles!